It is February 1983, and Berlin is a divided city with a miles-long barricade separating east from west. But the city isn’t the only thing that is divided. Ada lives among the rebels, punkers, and immigrants of Kreuzberg in West Berlin. Stefan lives in East Berlin, in a faceless apartment bunker of Friedrichshain. Bound by love and separated by circumstance, their only chance for a life together lies in a high-risk escape. But will Stefan find the courage to leap? Or will forces beyond his control stand in his way? 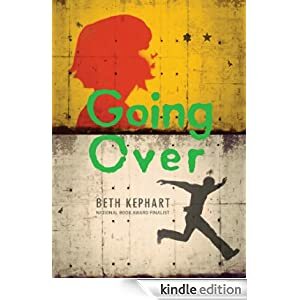 National Book Award finalist Beth Kephart presents a story of daring and sacrifice, and love that will not wait. This historical fiction novel is for readers in grades 8-12 and is selling for $1.89 today.